I bought The Legacies (The Lost Files #1-3) last year right around the same time I received my pre-ordered copy of The Rise of Nine. 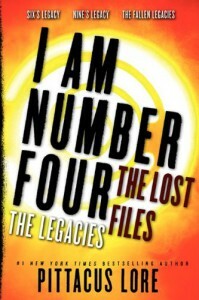 For fans of the Lorien Legacies these "Lost Files" are a must read, and fans will breeze right through them; I did, in just a few hours. Since the characterization in this series hasn't been its greatest attribute, these backstories really helped develop Six, Nine, One, Two, and even the son of a Mog general. I look forward to reading Secret Histories (The Lost Files #4-6) in July/August 2013.